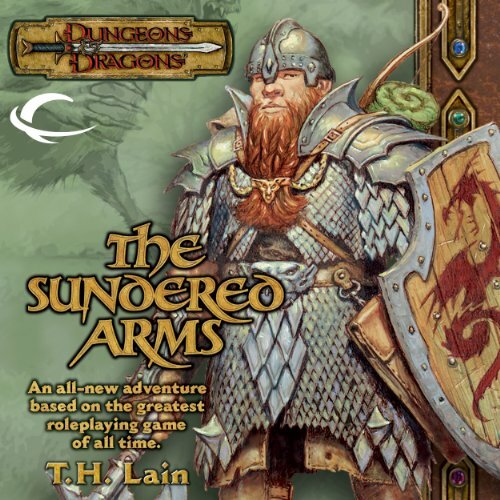 This title chronicles the latest adventure of various iconic characters from the Dungeons & Dragons core rulebooks. This series of novels is designed to bring listeners closer to the feeling of actually playing a D&D adventure. This eighth title in the novel line features, among others, the iconic character of the rogue, who appeared in two previous titles, The Savage Caves and Treachery's Wake. Andaron's Delve, a great dwarven stronghold ravaged by war, has for ages lain abandoned. Now, smoke once again pours from the immense furnaces, and goblins and beasts guard the ancient entrance. Evil is rekindled in the heart of the mountain and strives to forge anew Andaron's sundered arms. This time, it's about survival.